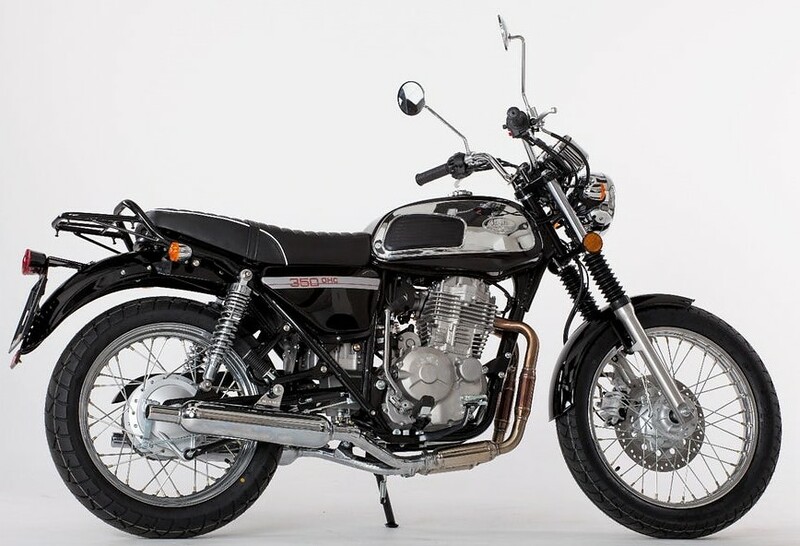 Jawa was once a known name for 2-stroke motorcycles. Since emission norms does not allow the sales of these products, Jawa recently moved to the 4-stroke engines and brought this beautiful 350 OHC for its customers. 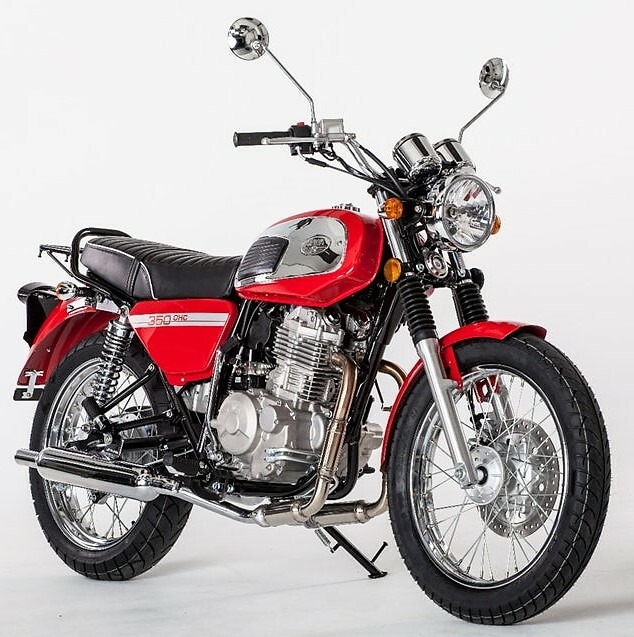 The motorcycle is actually carrying the essence of past with its retro inspired design but brings a better 397 cc, air-cooled single cylinder 4-stroke engine producing 27.35 BHP at 6500 rpm and 30.6 Nm at 5000 rpm. The engine comes with fuel injection (Fi) and uses a 5-speed gearbox for smooth operations. The engine is sourced from Chinese manufacturer Shineray and claims just 3 liter of fuel for 100 kilometers of riding (33.3 kmpl mileage). The engine meets Euro4 emission norms and comes with ABS (Anti-Lock Braking System) for safe riding on uneven road driving conditions. 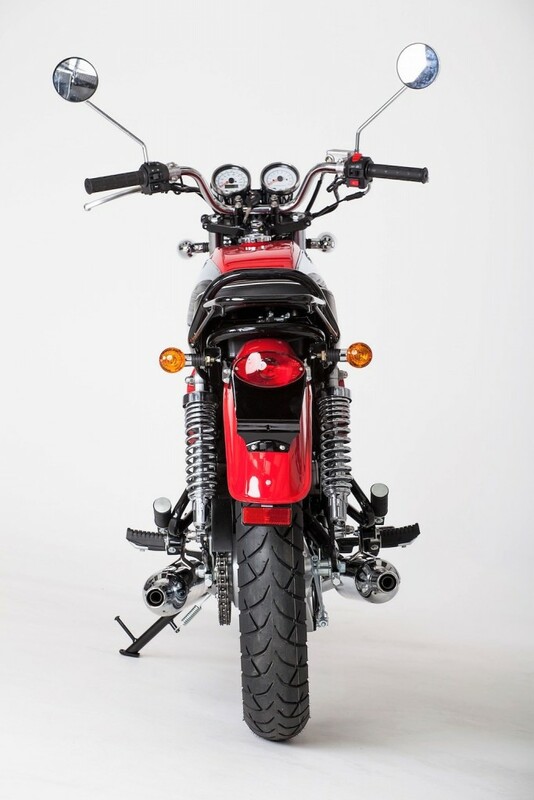 Currently available in Czech Republic, the motorcycle may soon enter markets like UK, America and Russia. 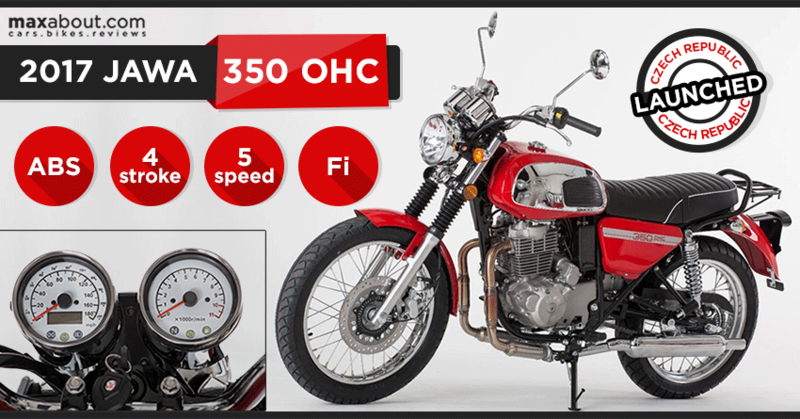 Jawa 350 OHC claims a top speed of 130 kmph and weighs just 160 kg (dry). 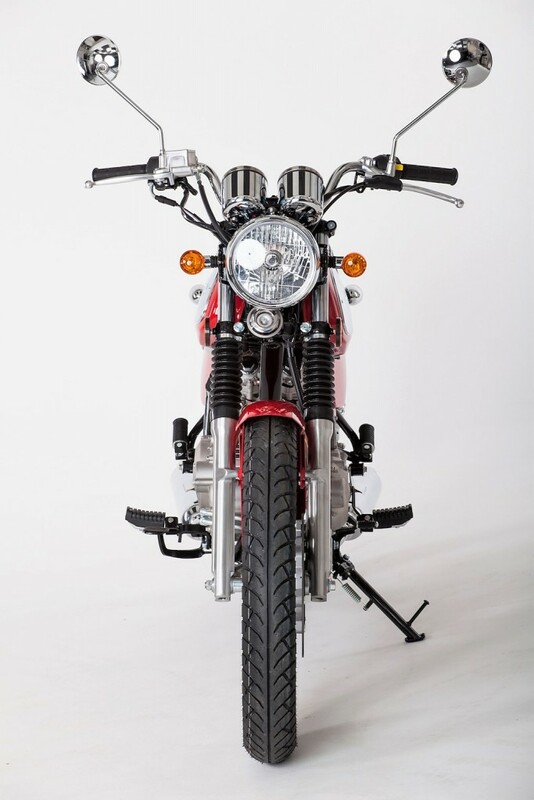 Even though it looks vintage by design, features like electric starter helps it compete the modern day bikes. 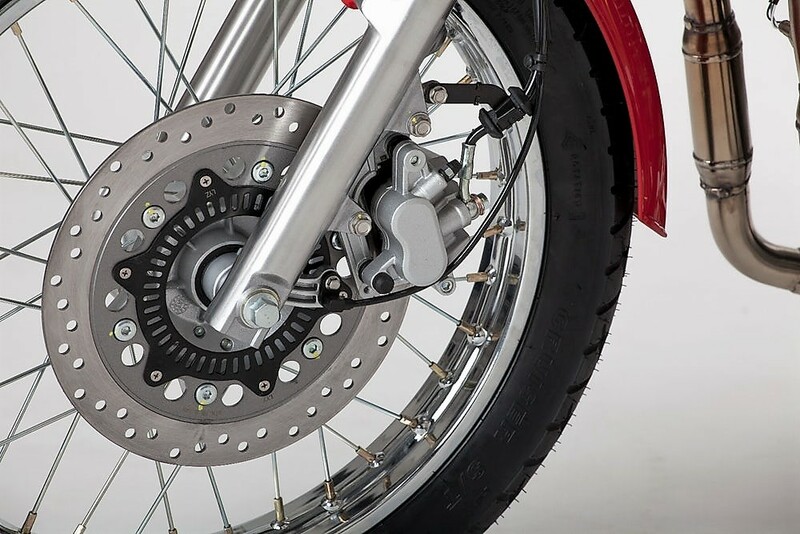 Jawa equips the same with 280 mm front disc brake while rear gets a 160 mm drum brake. 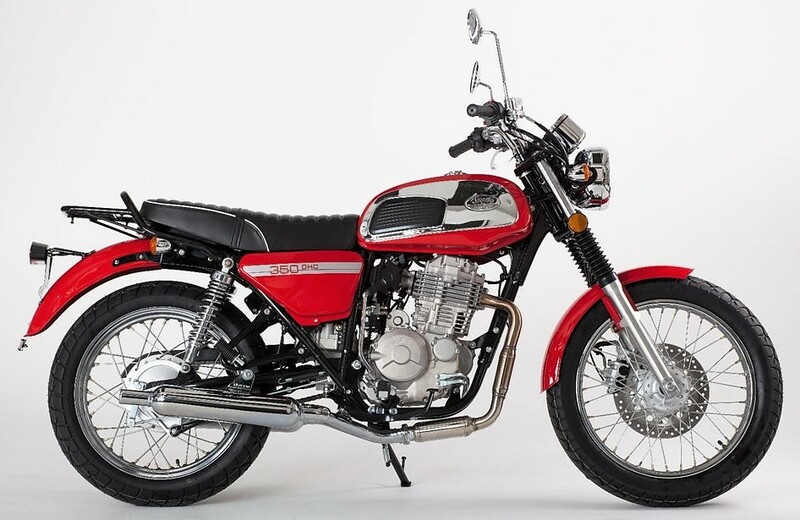 Surprisingly, this single cylinder motorcycle gets dual exhaust outlets and uses conventional suspension setup at both the ends. 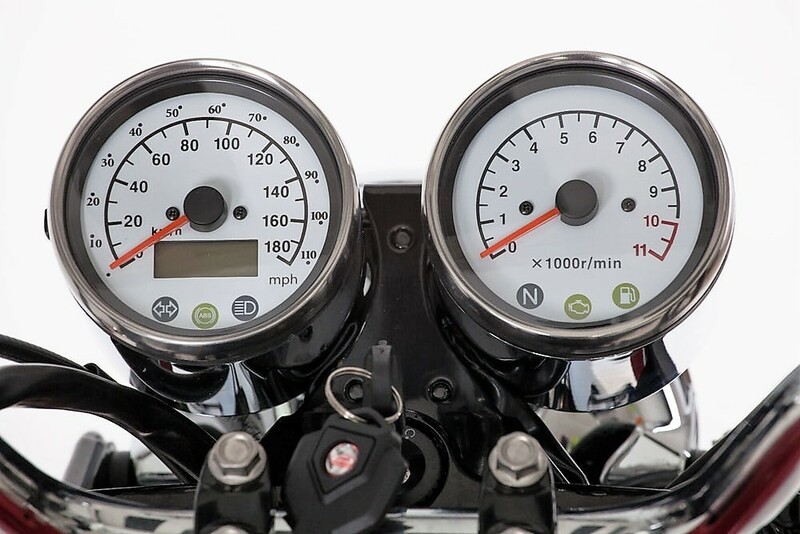 The twin pod instrument console is finished in Chrome and gets White background for both the tachometer and speedometer. All other values are visible on a small screen inside the left pod. 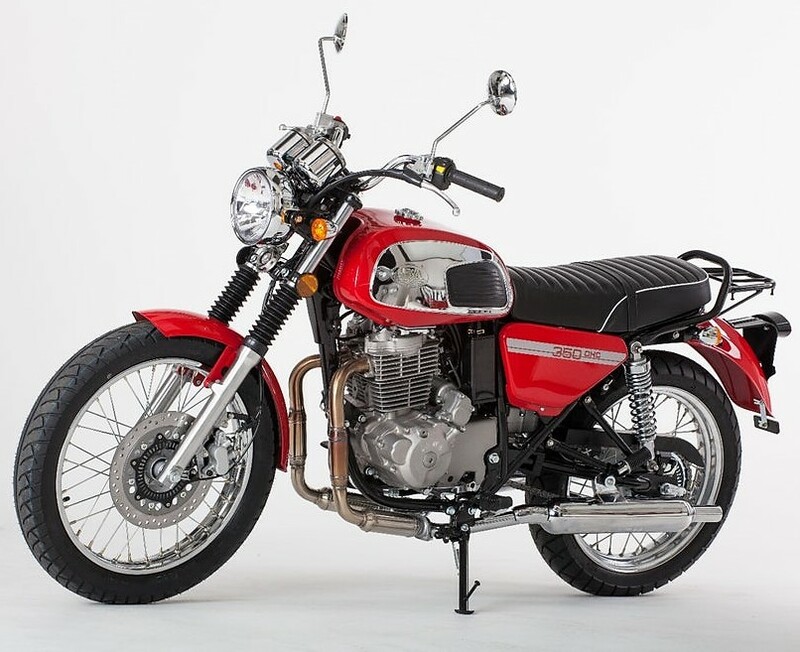 Jawa 350 OHC is priced at CZK 99,930 (Approx INR 2.60 lakh) and may get an Indian launch around the end of 2019 or early 2020 as the Jawa brand is now owned by Mahindra & Mahindra Limited.